Written By: sixhoursoflucy, Monolith and Ruth. Image Work: Peter Luzifer, sixhoursoflucy and Douglas Mangum. Working in the Kentucky coal mines, Sam's father inhaled too much coal dust and eventually died. Sam was an intelligent young man, an avid reader (especially of science fiction) who had gained a college scholarship. However, with the death of his father, the sixteen year old boy felt that it fell to him to support the family and so Sam got a job working in the coal mines as well. 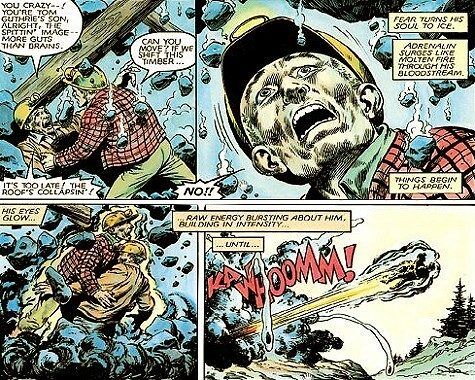 One day, the mine collapsed on the workers and Sam manifested his mutant blasting powers in order to save himself and his partner. 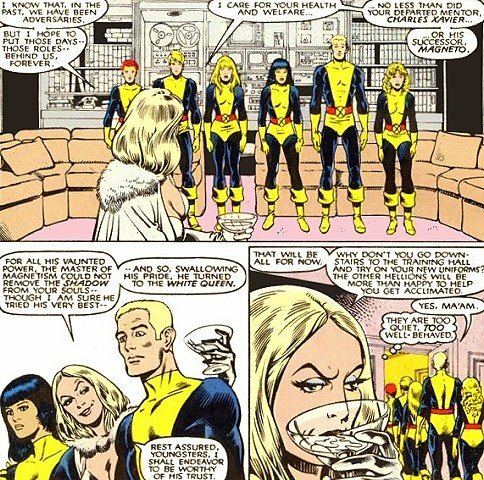 Xavier named his team the New Mutants and nominated Karma as team leader. After she disappeared in a battle with Viper, Cannonball and Mirage took her place as co-leaders. Mirage was more of a field leader, whereas Cannonball, more or less, had the role of an older brother, being the reasonable one and the one others came to with their problems. However, being a proud, ambitious young man, it galled him that the other team members – most of whom were younger – had at an easier time at improving their powers, while he still had severe problems controlling his powers. Though the New Mutants were only supposed to be a class, not a strike force, they continued to get into battle situations with the likes of robotic Sentinels, Cheyenne spirit-demons and their own counterparts in the Hellfire Club, the Hellions. 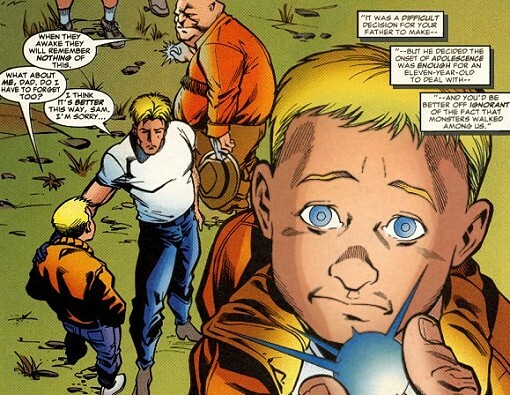 Cannonball became best friends with Sunspot, the only other boy on the team in the early days - a tight but odd friendship since they came from completely different walks of life and had very different temperaments. 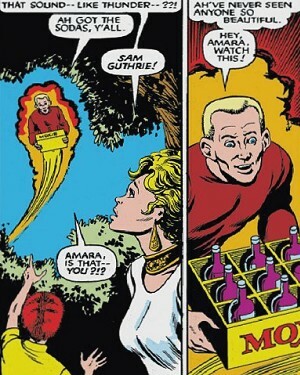 Sam also was the oblivious object of Wolfsbane's affections.